Obituary for James Edward Colson Sr. | Kelsey Funeral Home of Albemarle, Inc.
God, in his infinite wisdom, called from labor to rest James Edward Colson, Sr. to his eternal home Sunday morning, February 3, 2019. Born April 22, 1944 in Cottonville, Stanly County, North Carolina he was the son of the late Walter Jake and Lula Mae Turner Colson. It is most difficult to say goodbye to a loved one, but we are comforted in knowing that James is resting in the arms of Our Lord and Savior Jesus Christ. James graduated from the historic Kingville High School, Albemarle, Class of 1964 which is where he completed his brick mason training. Prior to retirement he was a supervisor with Young Manufacturing Furniture Company. Many knew him as an entrepreneur of Colson Enterprise. He was an excellent craftsman, a skilled electrician, plumber, brick mason and carpenter. There are many structures in Stanly and surrounding counties that attest to his skills. In his leisure, James enjoyed spending time with family and friends. He was a loyal follower of the Pittsburgh Steelers and later the Carolina Panthers. He was an avid wrestling fan. He was a devoted member of Cottonville African Methodist Episcopal Church, Norwood, North Carolina. At Cottonville, he was a member of the Men’s Choir, Sunday School Superintendent, Pastor’s Steward, Usher and Camp Meeting Director. He was also the church’s electrician. 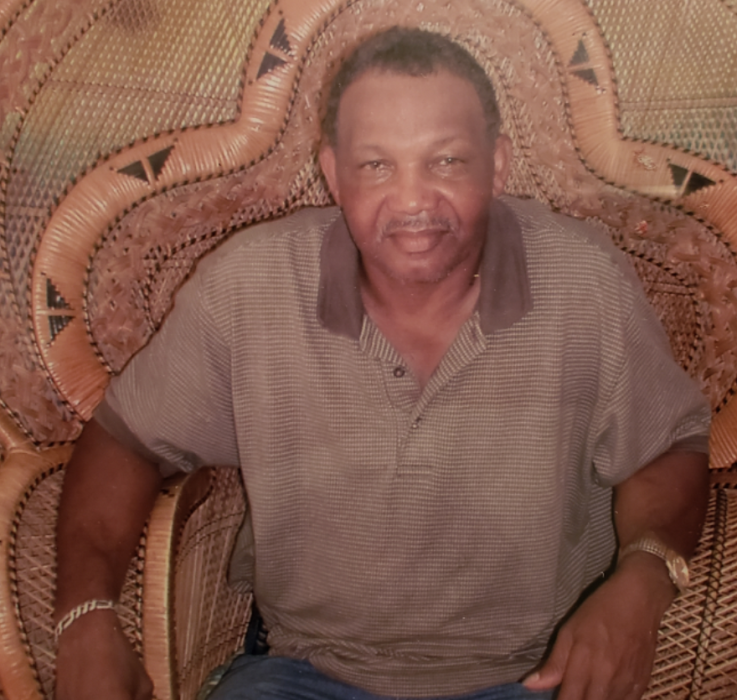 For over forty years, James was a member of the Bennettsville Lodge #208 PHA, Norwood where he served as Secretary for over fifteen years and served as Worshipful Master from 2008 until his health failed. James was also a member of Cleo Chapter #122, Order of the Eastern Star, PHA, Norwood. He was formerly married to Marie Allen Spencer. Those who preceded James in death, in addition to his parents, are his siblings: Margaret Shankle, Ruby Imogene Colson, Walter Colson, William Colson, Malachi Colson, Layman Colson and Craven Colson; and a special friend Christine Griffin. James was an exceptional man who gave of his talents and treasures. Family and friends who will miss him dearly are: a daughter, Victoria “Regina” (Darryl) Colson Robinson, Atlanta, Georgia; sons: James (Greta) Colson, Jr., New London, North Carolina, Arnold Gene Colson, Norwood and Keith Lemont (Jennifer) Colson, Matthews, North Carolina. Although he was biological father of four, he was a father figure to: Valerie Ingram, Gwendolyn Gaines, Roger “Ram” Griffin and Everette “Eric” Griffin whom he helped to rear as his own. Others who will dearly miss him are his grandchildren: Cearia “CeCe” Jones, Jasmine (Matthew) Morales, Dylan “DJ” James Colson, Tevin Colson and Tavis Colson; great grandchildren, Zachariah James Runnels and Mirah-Kohle Morales; sisters: Martha Janet Colson, Red Cross, North Carolina, Mary Louise (Joseph) Caple and Glossie Colson both of Norwood; brother, Orrin (Sandra) Colson, Norwood; sisters-in-law: Itelia Allen and Dorris Allen Symond, life-long friends: Les Young, Paul Melton, Craig Little, Jesse Colson and Van Horne; special sons: Martin Colson, Korie Colson, Daruis Craig, Jahan Melton, Grover Shankle, Levi Lee, and Walter Lee, Jr.; special daughters: Quintero Sturdivant Smith, Laura McLendon and Latorya Gainey; special classmates: Connie Freeman, Dianne Crump, Shirley Rivers Gould, Kerry Carpenter, Norma Jean Watkins and Georgia Blakeley; a host of nieces, nephews, other relatives and friends who were very special to him and he loved them very much.